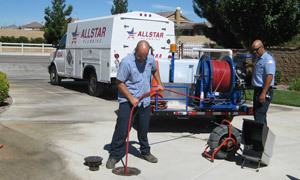 At Allstar Plumbing, our expert plumbers specialize in providing residents of Littlerock with high-quality plumbing services at a price that won’t break budgets. No matter what type of plumbing job you have, from new construction pipe installations to upgrading your shower faucets for your bathroom remodel or water heater maintenance and repair, our qualified plumbing technicians are trained to service all your plumbing needs. Whether it’s for a local commercial retail establishment or for a residential home in Littlerock, our certified experts have the equipment necessary to service all of your plumbing requirements. We believe that it’s important to ensure the safety and integrity of any plumbing job that we do. This is why all of our plumbers are licensed and insured so we can provide you peace of mind. On top of that, at Allstar Plumbing, we stand behind our work, so if anything ever goes wrong with your plumbing repair or installation, you can have peace of mind knowing that we’ll help make it right.